The following is an announcement from the Ministry of Communications and Works in the Nevis Island Administration (NIA) regarding a Town Hall meeting at Bath Village on Sunday, October 21, 2018. 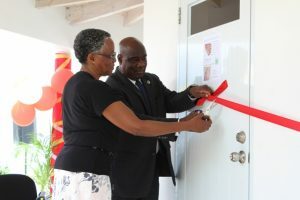 Mr. Randy Elliott, Director of the Department of Agriculture in the Nevis Island Administration (NIA), stressed on the importance of the government-owned abattoir to the Department of Agriculture and called for continued support for the department’s buy local campaign. The following is an announcement from the Premier’s Ministry in the Nevis Island Administration (NIA) regarding Remembrance Day on Sunday, November 11, 2018.